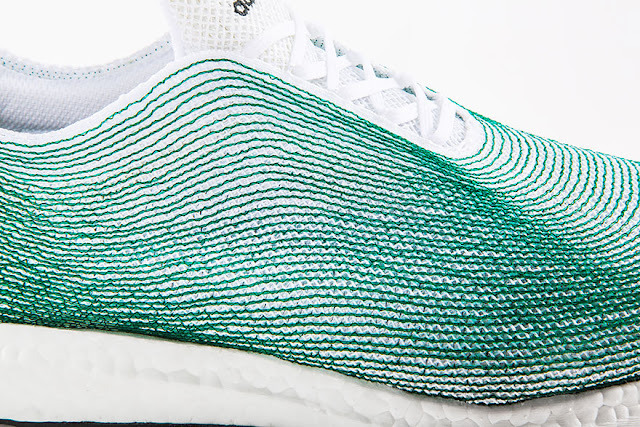 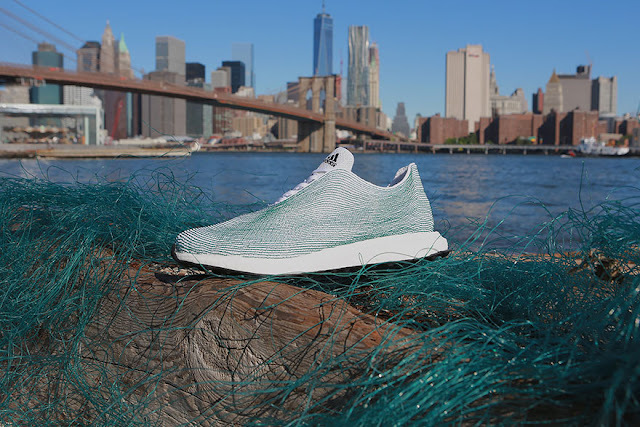 Adidas has partnered with a multidisciplinary creative environmentalism organization called Parley For The Oceans to create a concept sneaker made almost entirely out of plastic waste and discarded fishnets taken from the sea. Fishnets are a significant source of ocean pollution, but at least part of the nets used to create these recycled fibers came from a more interesting source than simple sea trash; The Sea Shepherds, a sea-bound environmental activism organization,captured roughly 72km of illegal gillnets after tracking illegal poachers wanted by Interpol off the coast of West Africa for 110 days. 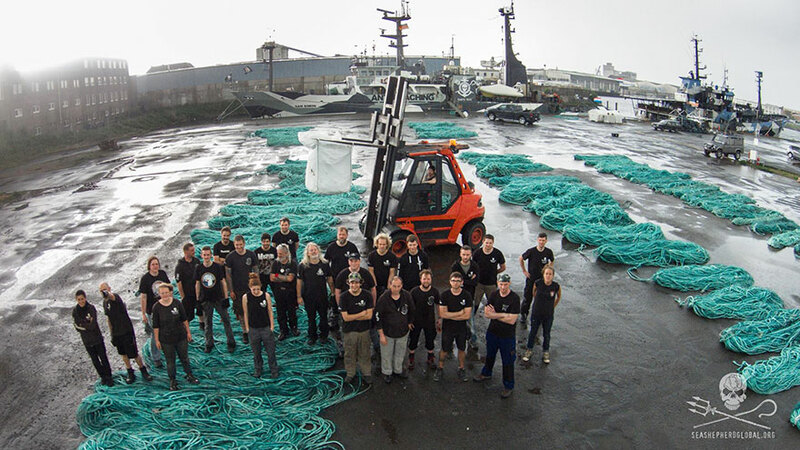 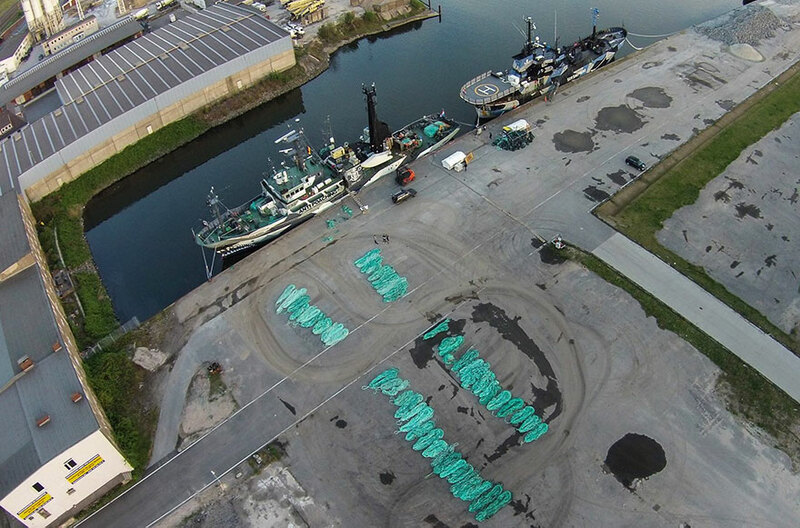 When the poachers’ boat sank, the environmentalists saved them, too! The shoes’ uppers will be created with recycled plastics and actual green net fibers, while the base will use other sustainable materials. Adidas has been accused by Greenpeace of environmental pollution in the past, so this will hopefully represent one of many steps in the right direction. 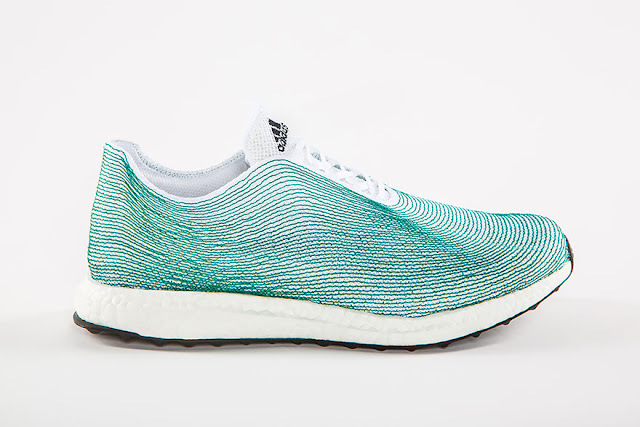 The shoes may or may not be produced, but they vow to start using recycled fibers by early 2016. 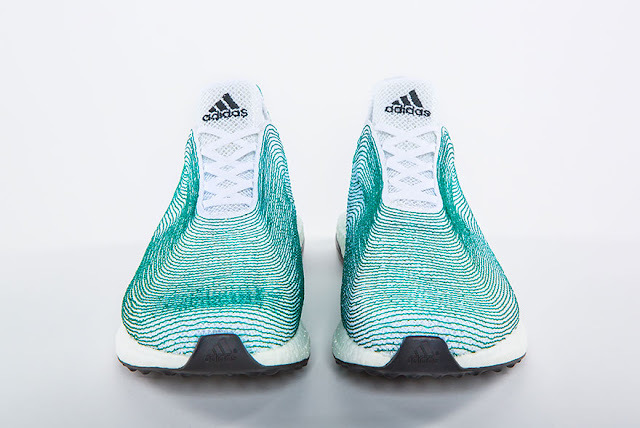 0 responses to "Adidas Makes Sneakers From Ocean Trash And Illegal Fishing Nets Taken From Poachers (6 Pics)"